(CNS): Police said this evening that they have now brought attempted murder charges against three men in connection with a shooting in George Town earlier this month. Two of the men charged are currently in police custody while one remains at large and has been charged in abstentia. Police say they are currently hunting for 25-year-old Mark Anthony Seymour, a resident of George Town, while 27-year-old Luis Robert Verona from West Bay and Sven Brett Connor (29) from Newlands have been detained and are due to appear in court next week. 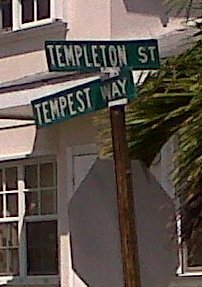 All three men have been charged with attempted murder following an incident in the Templeton Avenue area of George Town. 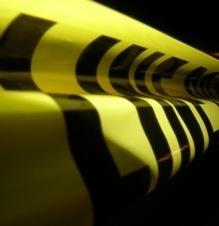 At around 2.00 am on Friday 5 March it is alleged that shots were fired at, and into, a house in the Windsor Park area. Anyone with any information about crime being committed on the Cayman Islands should contact their local police office or call the new RCIPS confidential tip line 949-7777. (CNS): In a twist of fate the 29-year-old male victim shot dead in West Bay on Thursday (25 March) night was only twelve hours away from being taken into custody by the authorities. Damian Omar Ming (left) was due to appear in court on Friday morning (26 March) as his appeal to the Privy Council regarding his 20-year conviction for drug related offences had been denied. Defence attorney Nick Dixey explained to the court that his client, who was on bail pending the outcome of the appeal, had been shot and killed last night. Dixey stated that as a result of news from London of the denial it was anticipated that his client’s bail would have been revoked this morning and Ming would have returned to Northward. “Tragically, he was killed last night as he was the victim of a shooting and I offer my condolences to his family,” Dixey told Justice Howard Cooke, who said the file on the case could not be closed until a death certificate was produced for the victim. 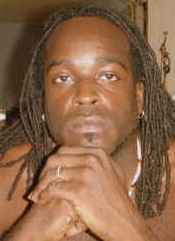 At around 9:45 pm last night Mingwas shot and killed in Birch Tree Hill Lane, the fifth murder victim of 2010, the fourth to be killed in West Bay in less than six weeks and the second gang related killing in two days. Witnesses report several shots being fired during the incident and more than one suspect was involved in the shooting, which occurred at Swallow Road and Birch Tree hill Lane in West Bay. During a press conference on Friday lunchtime the police commissioner said that Ming was not tagged. David Baines explained that Ming had been released on bail as was his right in law, pending the outcome of his legal proceedings, before powers were given to the police to be able to tag suspects on bail. He said, however, that at the scene of the crime on Thursday evening police were able to take one known gang member into custody who was tagged and had broken his conditions of bail. Baines confirmed the arrests was not in connection with the shooting of Ming but demonstrated that the tagging was enabling the police to restrict the movement of known gang members. (CNS): Among the many issues surrounding the current legal aid system, the auditor general has said that the consistent under budgeting is hindering the management of the programme. Already this year the judicial administration has had to request additional funding three times. Dan Duguay said that while the department’s annual requests for funding had been consistently similar for the last five years, legislators continued to cut the amount they appropriated, forcing supplementary requests in every budget year. The AG also found that the financial records of the system were extremely limited and, as a result, it was not being managed effectively nor was management able to provide information to legislators to demonstrate that the allocation of legal aid is good value and being done fairly. Duguay undertook the independent audit as a result of discussions with the chief justice and against a backdrop of proposed changes to the entire system. Duguay stated that although he found the system was working in accordance with the law, in that all those who were entitled to receive legal aid did so, there were few financial records and therefore little information to make an assessment about how the money was being spent and ultimately the quality of the system. "The members of the Legislative Assembly cannot do their job of reviewing government programmes such as legal aid when the information they are provided is incomplete or misleading," he said. However, Duguay added that this was not helped by the fact that the budgets were underfunded on a persistent basis. "The legal aid system is not being managed effectively because of the serious budgeting issues and poor financial management practices," he said. Duguay stated that with such limited financial information, managers were not able to keep track of what was being spent or if they had exceeded the amount authorized by the Legislative Assembly. The country’s senior auditor noted that, given the requirements of the legal aid law, the judicial department was obligated to provide legal defence and, as a result, the legal aid management team was faced with the dilemma of breaking the budget appropriations law or the legal aid law. Duguay noted a number of areas where the system could be improved, most of which the judicial administration agreed with, but it pointed out that to improve the management and efficiency of the system the budget would have to be increased. Currently the cost of administering the system is very low, the AG found, and pointed out that the money used went on legal representation and not administering the system, which was costing less than $140,000 per annum to cover the cost of one person, office and consumables. However, that in itself was a problem in that without any resources being spent on financial management, the department was essentially handing out legal aid certificates as legally obligated without following up on what was actually being spent. Duguay also found that no checks are done to find out if those who are awarded legal aid could afford to contribute to the costs of their defence. While applicants are required to supply information, no follow up checks are made to see if the information is accurate. Also, costs for legal aid cases are not broken down either in terms of individual cases or how much is spent on civil matters in comparison to criminal cases. Duguay also criticized the cash based accounting system which was being used, as this meant there was no way to determine the true amount owed to attorneys in a given budgetyear. For 2009/10 just over $1 million had been allocated and spent but there were at least a further $100,000 of outstanding invoices that have not yet been paid. The AG’s office said it could be considerably more but there was no system in place to say what invoices were due to come. The field was split for a second time in two groups with ten racers running five rounds first and the second set of nine racers running the five rounds last, followed by a lunch break, then the final four races completed by both groups. 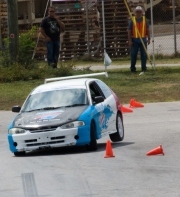 The unlimited class was stacked with rivalry: Bobby Hulse, CMA President, in his “Ching Ching” Altezza, boasted a brake setup this time around while Keith Tibbetts III in the Valvoline STi offered a new edge on the opposition with a new suspension. Rounding out the field was the venerable Andy Bodden and Wayne Kirkonnell in the Automotive Art Mirage. The All Wheel Drive (AWD) class also had very stiff competition with seven racers. Roje Williams was originally meant for 2WD with the VW Golf, but was crippled after a water hose burst. Roje placed third in the Ace Paint Subaru STi RA, Andrew Jackson, normally the Head Steward, hung up his hat for the race and shared the Subaru and placed a close second place, Michael Weatherford placed first also in the same Subaru he finished with an impressive time of 601.008. Roje placed first in the Street Battle Run with a fastest time of 82.435 for his class. With only four drivers in the Unlimited Class, each one pushed his own car to the limits. 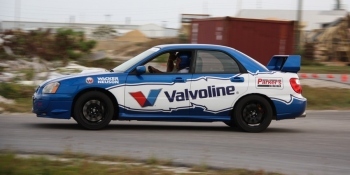 Bobby Hulse placed third in his Toyota Altezza, Andy Bodden second in the Automotive Art Mirage, and Keith “Speedy” Tibbetts III slipped into fist with a time of 571.761 in his Valvoline Subaru Impreza STi. Keith also landed first in the Unlimited Battle Run with a fastest time of 79.855 in a single run. Throughout the day times dropped significantly – even newlywed Ian Charlery saw significant time drops. All racers and spectators alike were overly satisfied with the ‘dexterity’ and were left waiting in anticipation for the next event to be held on Saturday, 24 April 2010. The CMA Board (President Bobby Hulse, Vice President Wayne Kirkconnell, Secretary Keith Tibbetts III and Treasurer Ian Tibbetts) thank Parker’s and Valvoline for sponsoring this year’s Time Attack series. Also, many thanks to the competitors, spectators and volunteers for making this event a success. For more information on the Cayman Motorsports Association andhow to become a member and get involved, please email the Board at racing.cma@gmail.com. (CNS): The chair of the Public Accounts Committee has suggested to government that it changes the line-up of the current committee as a result of the failure of certain members to turn up for meetings because of other commitments. Ezzard Miller told the Legislative Assembly on Thursday morning that on a number of occasions PAC could not meet because not enough members were present to form a quorum. Presenting PAC’s annual report, Miller outlined its work since its creation in May last year and pointed out his concerns over the continuing failure of government to get its accounts up to date. The representative for North Side said he had concerns that some members of the committee had so many other commitments. He suggested that government might want to restructure the PAC membership due to the additional duties and responsibilities placed on current members, which had reduced the amount of times the committee met and the work it could complete. Currently PAC consists of Miller as Chair and three government MLAs and only one opposition member. Despite the problems with government PAC members, however, Miller listed the work the committee had managed to complete which included a number of the Auditor General Reports. Miller also noted that there was the urgent matter of the failure of central government to complete a set of audited reports since 2004. “At its first meeting PAC expressed its grave concern and resolved to do all in its power to have these accounts reported on,” Miller said. He explained that the financial secretary had been invited to a PAC meeting, where there was an agreement to suspend the requirement in the PMFL to complete quarterly reports and output auditing until July 2010 in order to speed up the process of getting the full government accounts up to date. Miller said PAC wished to remind the government of its obligation under Standing Orders to respond to the PAC report within 90 days of tabling the report. The committee chair also noted that the committee was waiting for government to deal with the standing order question regarding the way reports are handled, which Miller said he hoped would facilitate a much clearer and timely handling of the reports received by the PAC. These reports generally come from the auditor general, who takes his report to the Legislative Assembly to circulate among members and 48 hours later the reports become public documents. However, certain members of the committee have been asking for the AG reports to be withheld from the public until after the PAC has completed its work on the reports. Suggestions regarding this move have raised considerable concern in the community and from Auditor General Dan Duguay owing to the time it takes for PAC to examine the reports, call witnesses and then write its response, which would mean matters of public interest contained in the reports could be withheld from the people for several months. Check back to CNS later today for the latest report from the Auditor General’s Office. CNS will update as more information is received. (CNS): During a long day of business in the Legislative Assembly on Thursday the premier noted many times that he believed God would help the Cayman Islands to come through the current difficult situation. 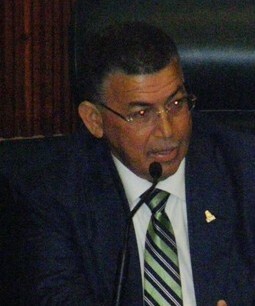 During a heated debate in the evening between government and opposition, McKeeva Bush said on several occasions that “God is going to help us,” but during Thursday morning’s session he made a wider call on the country to come together, “get on their knees”, and to ask God’s help with the budget and the current crime situation. Calling on everyone, including non church goers, he said there would be a mass prayer meeting on the Court House steps on 1 April. Bush called for all churches in Cayman to participate in a mass meeting to pray for young people and the increase in crime that the country is currentlyexperiencing. He said this gathering of churches would take place at the Court House on Thursday at 5:30pm. He asked all the churches to put aside whatever they were doing and to come to the mass prayer with all their congregations to pray for the young people and for the increase in crime. Pastor Al Ebanks is organizing the service and Bush stated that Pastor Manzanores will be asked to speak. (CNS): With 14 tax information exchange agreements (TIEAs) already in place the Cayman Islands has already exceeded the minimum requirement of the Organisation for Economic Development and Cooperation (OECD) but government has announced it intends to more than double the amount of agreements it already has. With sixteen more on the table Cayman will soon have more than 30tax deals with G-20 and OECD jurisdictions. Cayman has also advanced its work with the OECD Global Forum Steering Group, in reference to the recently announced peer review evaluation programme. The Financial Services Secretariat said on Thursday that an agreement with Australia will be signed in Washington, D.C. on 30 March and agreements have been reached with 6 other countries — Aruba, Canada, Germany, Italy, Mexico and South Africa. 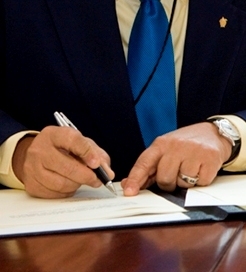 These agreements, which have been finalised from the Cayman Islands, are with the signatory countries for their authorisation process and confirmation of a signing date. In addition the secretariat said that negotiations are in various stages with 9 other OECD/G-20 countries. The Cayman Islands delegation was able to provide the OECD Steering Group with input, guidance and direction on the methodology and terms of reference for the peer review programme. The Cayman Islands will also be an assessor for the peer review programme and a representative from the Ministry of Finance recently participated in the training, as organised by the OECD. 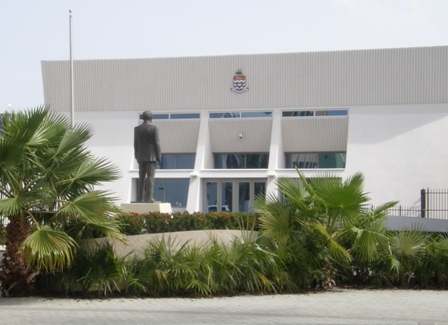 Meanwhile, the law to formalize Cayman’s agreement with the Netherlands Antilles was tabled in the Legislative Assembly on Thursday 25 March.